I am Muhammed. No, look at me. Ignore that photograph on the wall. It’s of an imposter. Can’t think why Abdul still has it on display at this café. Do you think I should boycott the place? The next of you newspaper men who wants to speak to me… Yes, I might take him somewhere else. But no-one does a shisha like Abdul. You like it? You carry on enjoying it, and I’ll tell you my story. In November 1946 I found the Dead Sea Scrolls in a cave in Qumran. It must be Allah who guided me there – though I sometimes ask myself if the discovery was indeed such a blessing. I was with my cousin Jum’a and our friend Khalil – tending the sheep as we have done all our lives in that harsh stony valley. Jum’a claims it was he who first noticed what looked like a low wall beyond the entrance to a cave. There are numberless caves there, punched into the rock when the world was younger. Well, whatever my cousin may tell people now, he cannot deny that it was I who proved most adventurous, bending down Iow and throwing a few small stones into the cave – just to test it out, you understand. And I heard distinctly the sound of a stone hitting a hollow – or partly hollow – object. Pottery, maybe? These things, I knew, can prove valuable. So, without waiting for the other two, I scrambled into the cave on all fours, pulling myself without difficulty over the little wall. Inside – a cool, musty darkness. Hello – I see you’ve almost finished that mint tea. Would you like some more? No, really, you must: the story’s only just started… Abdul – over here! Abdul, are you listening? 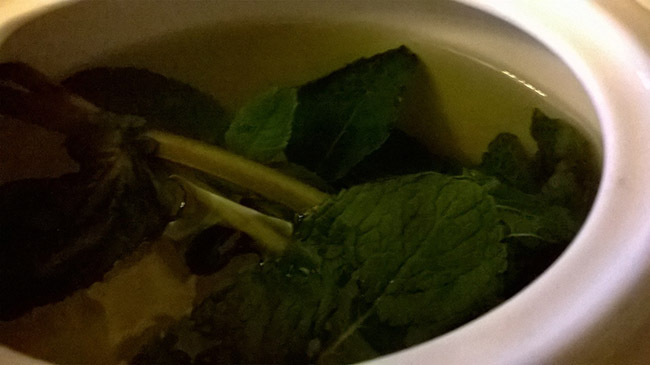 Another mint tea for me and for my guest, please. And make them even better than the last. The jars felt like smoothly-cast pots, or urns, each with a lid. Gently, so gently as my eagerness trembled just under control, I lifted each lid. It was so hard to see. Then I reached into each pot. Yes. I knew they must be worth a few shekels. ‘We ought to grab them. Everything we can find.’ This from Khalil. So we filled our leather pouches with the contents of the two jars – whatever message from the past it was spilling out from the mysterious script. The other two followed my lead, withdrawing each piece separately from its hiding place and making sure it remained intact as we slipped it into our pouch. ‘That’s it.’ And so we crawled back out of the cave, blinking as daylight erupted once more, took care to find some identifying marks that would help us to find it again quickly (‘See there,’ observed Jum’a, ‘That bit of rock jutting over the entrance looks like the head of a lion!’), checked the whereabouts of our animals, and took our treasure back to our Bedouin camp. We kept the scrolls, or pieces of scroll, hanging from a tent pole for a while. They had to be special holy texts: Allah, or the God of the Jews, or some such force, had ensured that they stayed well preserved over the countless years. It was a miracle – or perhaps something to do with the dry air inside the Qumran caves. When I was crouching in there I’d certainly felt as if everything was draining away. Almost a life force being sucked out of the atmosphere. I suppose it was water, the source of life, that had been bled back into the Dead Sea. Never before or since have I experienced such a complete absence of water. No humidity, as Khalil remarked. And it’s humidity that will seep into precious parchments and make them melt away. We couldn’t hold on to them forever, of course. Someone recommended Ibrahim ‘Ijha, a dealer in Bethlehem. But he wasn’t interested – claimed they’d been stolen from a synagogue. Bigger fool him. When we haggled our hoard at the market, a Syrian Christian offered to buy them. Crowds were beginning to fold their predatory wings about us. Some sheikh suggested we show the scrolls to a chap known as Kando, a cobbler who also dealt in antiques. We left Kando with one of the scrolls, and then returned with some other dealers to the site. We sold three scrolls to one of them. The sum – seven British pounds – seemed huge to us back then in early 1947. Now, of course, I know better. You see that photograph over by the kitchen door? That’s it – the one of the little boy in Bedouin dress? That is me, Muhammed. The picture was taken shortly after the parchments were identified by experts as dating from well over two thousand years ago. The scrolls, as I found out later, were inscribed by the Essenes (a very pure and strict sect, were the Essenes), and contained parts of the whole Jewish Bible. Sorry – did I startle you by banging the table like that? It even included the Book of Isaiah in its entirety. Now think of that! I look happy in that picture, don’t I? It was before I realised just how much we might have sold the Dead Sea Scrolls for. Later, the scholars took over, piecing them together, analysing, translating. You’re seen the restored scrolls in the museum at the top of that hill, maybe? After that, of course, everyone was hunting in caves for ancient, flaking parchments. And two other people claimed to be Muhammed edh-Dhib. But you mustn’t listen to them. I am Muhammed. It was I who crawled into darkness, found the dying holy words and brought them into the light. We need to know the genuine thing when we see it, don’t we? This is me, Muhammed.